Having scored a fantastic piece of shoulder.. Just over a couple of keys.. Chopped in half .. Into the slow cooker or crockpot or whatever you want to call it..
With French garlic granules,Californian onion granules, Turkish urfa pepper, Spanish sweet and smokey paprika, some drops of smuggled liquid mesquite smoke, maldon salt, Indian dried coriander, mustard and jalapeño powder and finally Italian honey..a little water around to create the extra heat and steam..
Then onto the high setting for about five hours.. Then turned off and left to melt into its self.. The top fat soaked up with some kitchen paper.. Leave some yet not all.. And then tear it up with a couple of forks.. You know the drill right? 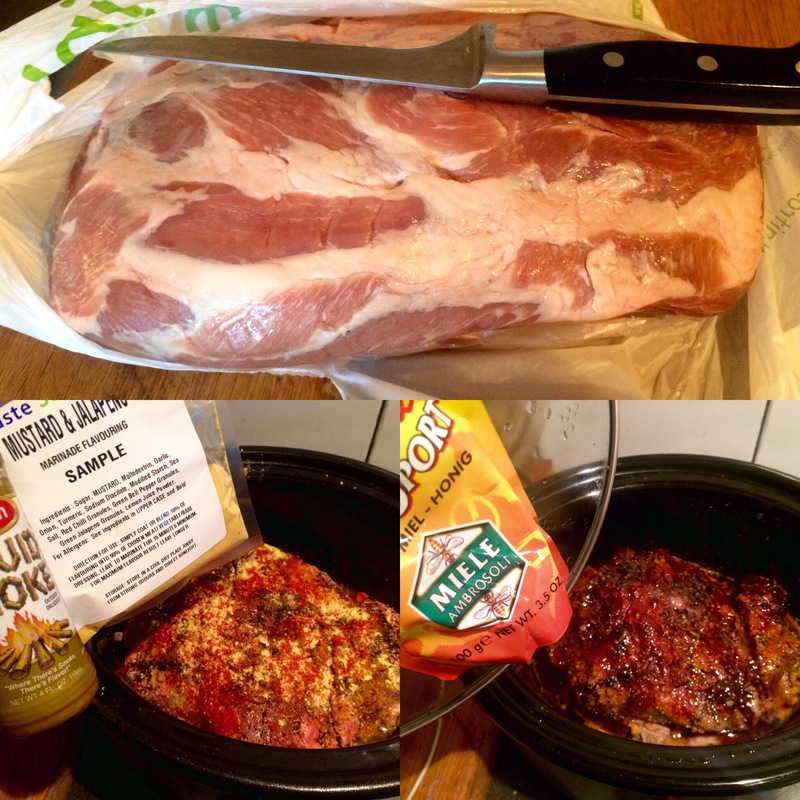 So now we are the proud owners of crackalackin pork.. It’s gonna make a bunch of great food outings.. The first being for Mrs Fitz’s lunch.. 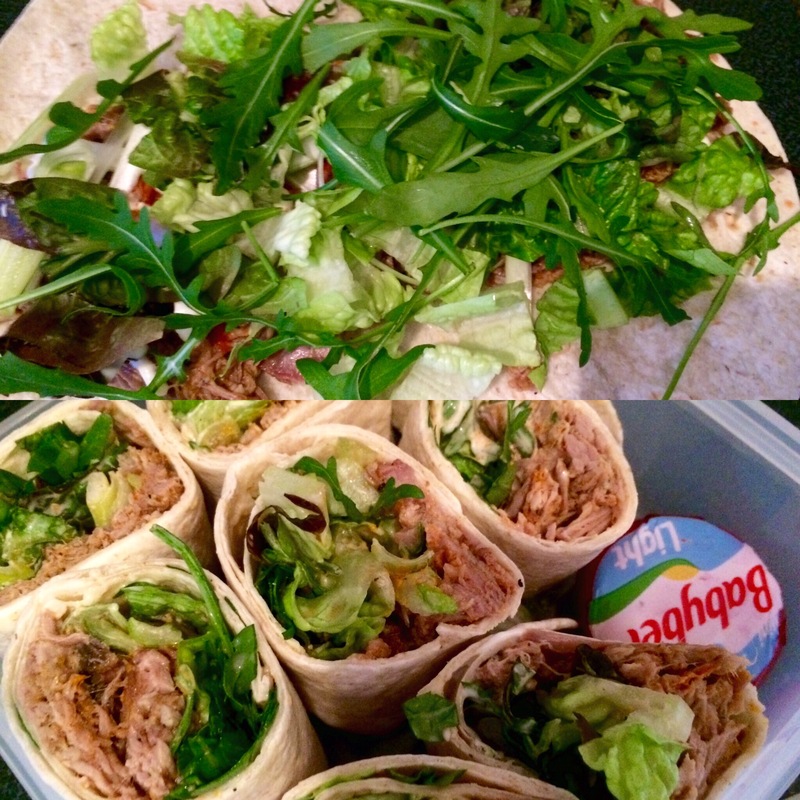 Into wraps.. With wild rocket , red romaine, green onion , Piri Piri sauce and Mayo..
Maybe you’d like to bring this by and join us at Thowback Thursdays; we put a new link party out every thursday evening and you can find it on my blog…:) We’d love to have you. Roast pork is always a winner! Throwback Thursday’s? Sure! I wish I could have one of that sandwich! They look so yummyyyyyy! Thanks for being at FF! 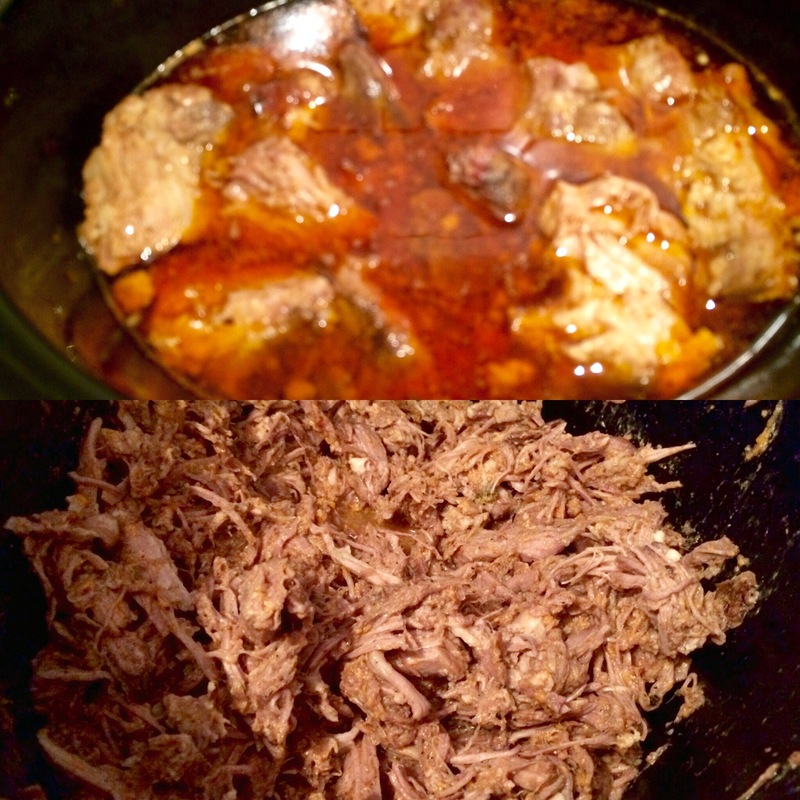 Love pulled pork, sounds delicious!